A WWII Spitfire plane is the latest drift victim. Get your reading glasses out. XBOX just released another Forza Horizon 4 clip, and it's awfully difficult to tell the difference between the gameplay and the live video. Set at the famed Goodwood Estate in Chichester, England, the new trailer brings out one of the auto industry's realest celebrities into the fold to show off some of his surreal tricks. If it wasn't clear at this point, Forza Horizon 4 is set in Britain. It has British buildings, it has British seasons, it has British cars, it has British action heroes, and it even has British commercials. The newest ad spot adds to this theme with a Union Jack-roofed Mini Cooper, a Spitfire fighter plane, and the Goodwood Estate. All this British flavor is interrupted, however, by an American driving legend drifting an American icon. Yep, it's Ken Block and his Ford Mustang. Apart from the snippets of FH4 gameplay, it's a typical smoky drift video. Like LeBron James performing exceptional feats every night on the basketball court, Ken Block's incredible abilities have been shown off so much that they've begun to feel routine. They don't feel spectacular anymore, but that couldn't be further from the truth. 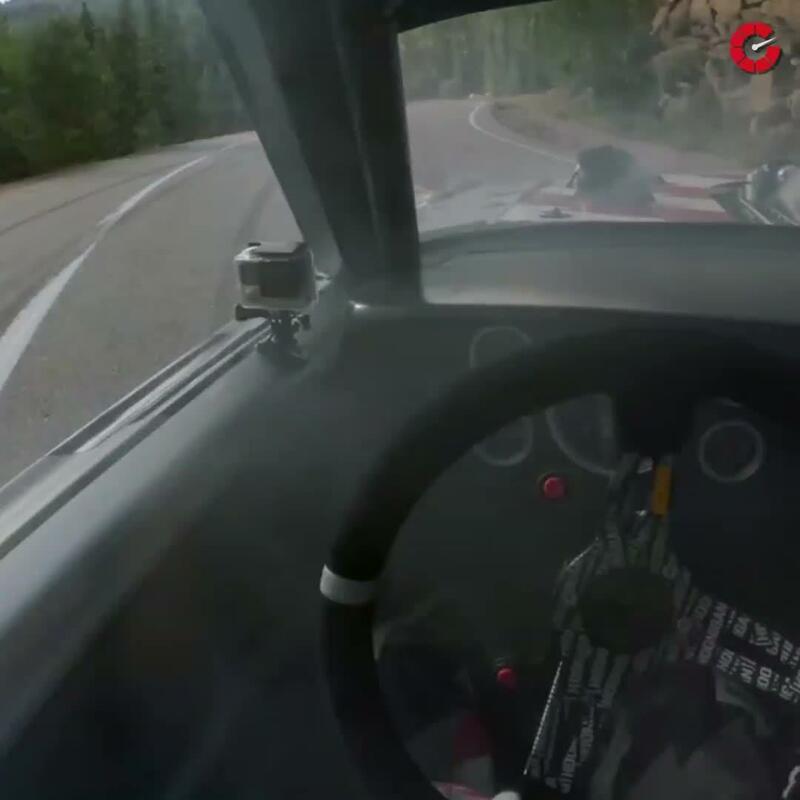 The flame-spitting 1,400-horsepower Hoonigan 1965 Mustang starts by ripping up the Goodwood hill climb before whipping up a smoke ring around the Mini. That's followed by a trip to a small airport, where Block takes some time to admire the legendary Spitfire propeller plane. He finishes with a performative dance in front of the Goodwood House. Several other cars make appearances in the background of the video, but only briefly. There's a McLaren Senna, a Jaguar E-Type, a classic Alfa Romeo, a couple Lamborghinis, a Ferrari, and an Aston Martin. Oh, and the World's Strongest Man Thor Bjornsson randomly shows up too. The over-the-top video is all to say that XBOX owners can drive the Hoonicorn V2 in FH4 from the comfort of their couches. The game is available now and starts at $59.99. Just make sure to take lots of tea breaks.